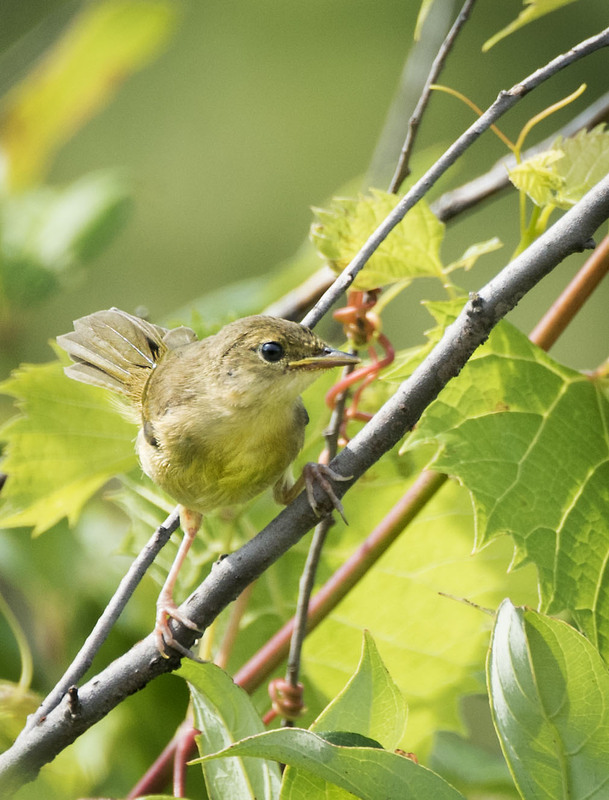 We spotted this Female Common Yellowthroat quickly moving in and out of the bushes while on a morning walk. While we most often see the males perched out in the open singing we very rarely have seen the female out in the open like this. She only stayed for a minute or two then flew off into a marshy area several hundred yards away. Thanks and thanks for the feedback as we do appreciate it. 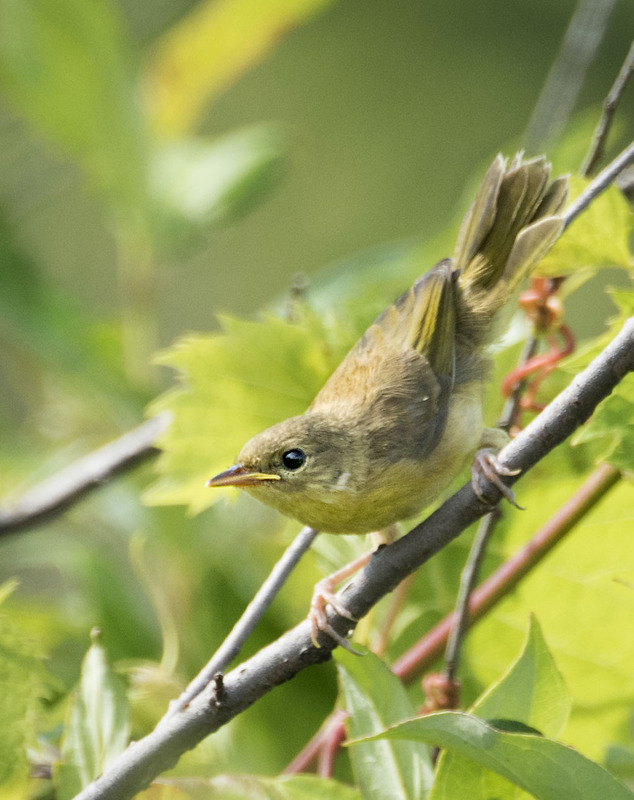 We were very happy to see a female Yellowthroat that day and lucky to snap a few photos. Thanks and I agree she is a small and delicate little bird but I also bet the is tough as nails. And very long nails they are, too. All the better to hang onto the branches with. Probably had young to feed back at the nest and was on a bug catching mission. What a beautiful little bird – lovely photographs! She is a cutie for sure. Thanks and have a wonderful weekend. I could not agree more. She is a cutie. She is so pretty, how fortunate you were to see her! Thanks and I feel exactly as you it was very fortunate indeed. I could not agree more and it was nice to get to see the female this time. Love this! Great job capturing a cute bird. Agreed. Hope your weekend is going well. Hi and thanks we do appreciate the feedback. We rarely see the female of this species so it was a joy for us to get to watch her out in the open this day. Have a wonderful weekend. Good for you (and for us). I have only seen males in nature. She is gorgeous. Yes it was a nice surprise as, like you, we typically only see the male out singing their wonderful songs.